Android: Google has some pretty powerful text-to-speech on Android. For most people, the default settings are fine. However, if you've ever wanted to slow down or tweak the voice, you can do that in some buried settings. As tips site MakeUseOf points out, there are several settings you can modify by heading to Settings > Accessibility > Text-to-Speech Output on your phone. Here, you'll see two sliders for "Speech rate" and "Pitch". You can make generated speech sound faster or slower, and higher or lower. Tap the "Listen to an example" button to hear it. 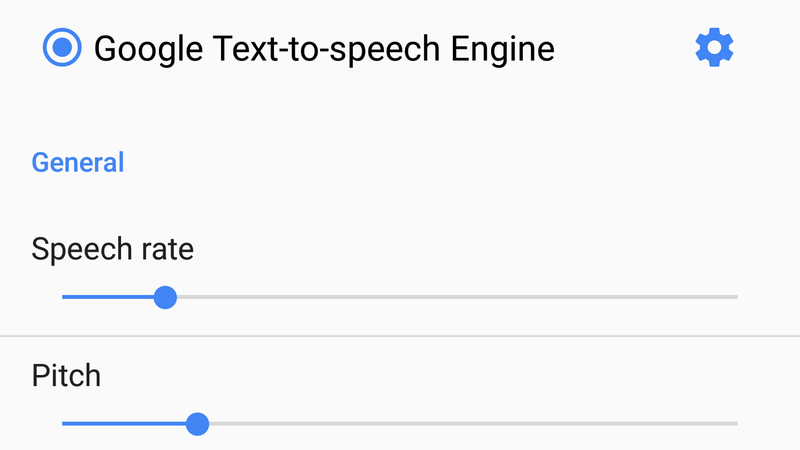 If you want to go even further, tap the gear icon next to "Google Text-to-speech engine" and then choose "Settings for Google Text-to-speech Engine" to find a few more options. Here you can amplify speech's volume so it's more clearly audible over other sounds, or adjust my favourite setting: Intonation. This setting lets you change how "expressive" the speech is. You can set it to expressive, somewhat expressive or flat. So, if you think Google's voice is a little too upbeat for you, you can choose to turn it into a cold, emotionless robot instead.